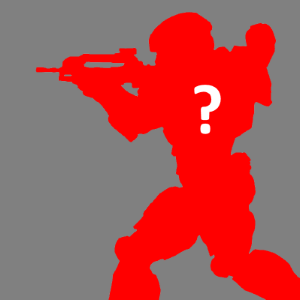 The Forerunner Conflict Lore Database is intended to keep a comprehensive record of all entities existing within the FC timeline, with the intention of being used for stories, role-play, and other mediums. Entries recorded are typically a fictional representation of the members who created them. If you would like your entity to be included, please contact a Lore Keeper via PM. 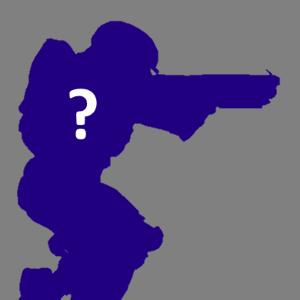 General Appearance: Thin and tall, armor either being a shade of black or grey. two months of service with Renegade, Aephus was assigned to the GHOST initiative. truly leave behind the mercenary buisness without the nagging feeling of a job left undone, then he'd need to take care of it now. He'd been given his armor and everything before Solus had left, and the adjustment to everything was still in progress, so he awkwardly made his way to the loading bay. One of the guards approached him, and he flashed a small card and was let be. Good ol' Eve had friends in places, apparently. He'd make sure her effort hadn't gone to waste. A repose in the loading bay of whatever ship they'd stuck him in was taken, but it was transient at best. He'd been troubled by guilt for the longest time, but something before had prevented him from completing this task for years. Eve was a fellow mercenary turned R.E.D.D soldier, also his childhood love. She'd kept in contact with him for all the while after she left, and finally convinced him to join an actual cause rather than doing mercenary work. And up until 2 weeks before he'd joined Solus and Renegade for the rescue op, he'd refused to. Now, cluching the small pendant in hand, he'd remembered her last transmission before she dropped off the grid. "I'll be shipping out soon, but I've got something that I'll leave for you." she'd said. "This pendant contains a tracker that will hold coordinates to a friend's home, along with something for you. And A? I may not come back from this. So do what you will, but make good use of my stuff." Then static. He'd come here in hopes of finding her, but the unfortunate circumstances left him with more questions than answers. She was listed as M.I.A under the records, but anything else in her records was unreadable. Apparently she'd gone and done something pretty serious, otherwise the files wouldn't have been so restricted. Finally, the cargo doors opened, and Aephus looked out onto the sky. Reach's terraformation had returned it to pre-glassed status, or so he heard, but the glassing of Reach had happened before his time, so he didn't care. He turned back to the confines of his transport, leaned back, exhaled one last time, shut his eyes and plummeted toward the planet below. He'd done Orbital drops before with far less tech, so this was a cakewalk. He opened his eyes and looked toward the rocky mountains below him. There was a valley off in the distance, with a cliff face overlooking it. His destination. He changed his focus back to the drop, and watched the sensors for his altitiude. 200, 190, 180, 170, 160.... 150. He flipped himself upright and activated his thruster pack, decelerating to just the right speed so he hit the dirt with a start. Unfortunately, the ground upon which he landed was unstable, and he found himself on his back on a pile of sand in the caves below. Thankfully, the ground had held itself just long enough to prevent any injury. Unfortunately, the impact and the fall were enough to significantly damage his armor. While mostly scratched and dented, portions of his arms, legs and torso now dangled off, frayed at the ends like wire. The visor on his helm was completely cracked, and basically useless. He cursed the landscape, and scrapped the damaged bits. The jetpack was also a loss, and even still it didn't bother him as it had just enough fuel to make the drop anyways, so it no longer mattered. Magnum in hand, he started hiking out of the tunnels, pissed and moving fast. He exited the caves back at his drop point, gazing into the pit he'd made on impact, and quickly moving along again. Eve's friend better had had a drink for him, otherwise he felt that he might snap. Approaching the path up the cliff-side, Aephus relaxed a bit more and gazed upon his surroundings. Blood-red rocks, grass in the valley, and a river flowing freely through the center of it. It was nice, but it wasn't what he was here for. He approached the top of the cliff, and found a small farmhouse seated upon the cliff's edge. Upon closer inspection, the house was well kept, clean and tidy. Comforting to look at, but it didn't ease him up. Inspecting around him and finding no abnormalities, he knocked on the door. A thin woman answered the door. She eyed him up and down, several times, and then seemed to stop and think for a moment, as though she were judging his worth. "You must be Eve's friend. I say this, because she said on the way in you'd make a ruckus, and I assume that was you making all that noise over in the rocks." Too tired to say anything in his defense, he simply nodded. "Good," she said. "all the stuff you're looking for is in the attic." She guided him through the house, and left him to his own devices in the attic. It was empty, save a few boxes at the far end of the room. Empty, but clean. He opened the boxes, hoping for a clue, a sign, something to tell him where she was. The pendant as it turned out was a key, that opened the two largest crates. Out from the boxes came a mess of things, and once he sorted things out what he saw struck him as odd. There was a modified set of SPARTAN-II armor laid out before him, cleaned and shined with a nice dark red paint job. One shoulder piece seemed to be missing, but upon inspecting it he found four spent casings clipped to it. The first two shots they'd ever fired from a rifle, he remembered by the small hearts painted on each casing. It was tacky, yes, but a happy memory at least. He managed to get it on without too much difficulty, and Eve's friend came up the stairs as he searched for the helmet. She handed it to him, along with an envelope. "She dropped this off a few days ago. Said to tell you to 'have fun'. Anywho, whenever you're done, close up the attic. Don't need any unwanted pests getting in here." She'd left him to his thoughts again, and carefully he opened the envelope. Inside were tickets for transport back to base, a note and another pendant. The pendant opened the last locked box, which contained a scythe the size of an icepick. The note read "Enjoy your stay. I can't come back yet. There's still loose ends to tie up." He stood alone in the room in his thoughts, and when he came back to reality, he left the building. Two day's hike and a day on the transport and he was back. It was almost like he'd never left, though a couple of hours after his return, Renegade also made their return, bringing him out from his thoughts. "Hm." he thought. "What a wonderful birthday present," he mentally remarked sarcastically. Eve would be back soon enough, at least she'd said. He may as well take time to get to know his squadmates. Drawn inward, Erin is both perceptive and stubborn. He learns on his feet, finding bookwork to be dull and uninteresting. Politically, he finds himself respecting the values and desires of both factions, even leaning towards the Legion as they are a part of an older unit, one that he once belonged to. He also holds ties to the Empire, though, as they reinstated his status as an active service member and value his abilities. Erin Erickson Ross was born on June 13, 2553 to parents James Heath Ross, 24, and Lydia Sarens Ross-Ledger, 25, on Chi Rho. His parents, both previous members of the UNSC and privy to the secret machinations of ONI, decided to donate their child to the cause of ending the war under the Spartan III Program. Coming from circumstances differential to most other III conscripts, Erin lacked the violent drive for revenge against the Covenant that his comrades harbored. He was cold, analytical, a systematic and brutal attacker and astute defender in the War Games. Augmentation only accelerated his mental ability, as well as giving him a body to match a supersoldier. Soon after graduating, he met a gruesome fate as cost for saving a fellow Spartan's life - A sangheli severed his arm and left him to bleed out. Cauterizing his wound, he sent a distress beacon and promptly passed out from blood loss. Picked up afterwards, ONI began work on a prosthetic arm to match his previous combat ability. With a temporary arm in place, he spent months learning how to use it effectively by grasping and firing his sidearm. On the side, he began learning about penetrative programming, with all of the spare time he now had.After his permenant prostehetic was done and grafted, he spent most of the next thirty years in cryosleep, being woken up yearly for his psychological evaluations and to ensure he wasn't getting freezer burn. A remnant of pre-Empire ONI, the Imperial Office of Naval Intelligence recently thawed him for use as an asset in the latest war between the Empire and the Brotherhood, tasking him with a squad of Enforcers as their hacker. He turned his calculating mind into a weapon, armed not with just a rifle, but a tacpad. Erin is a Spartan III who lost his arm after saving a comrade. During rehabilitation, he became proficent with the Magnum and expanded his hacking knowledge. ONI put him on ice for a long time, and IONI thawed him out to task him with Renegade Squad as their hacker. General Appearance: Tall, black armour, stripe of whatever colour representing on left arm downward. Background: Leader of the GHOST Initiative. Rogue soldier, elusive yet trusted by both factions. Former executive officer of Renegade Squad. Formerly known as Solus Exsequor. 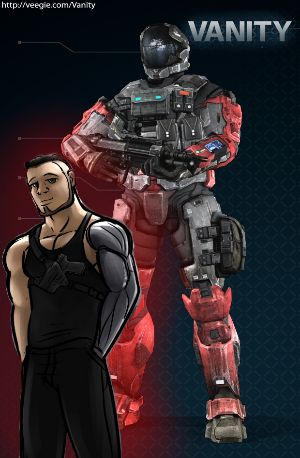 General Appearance: Jacob is of a slightly smaller build than the average SPARTAN-IV, weighing only 233 pounds, while still retaining the average height of 7'2". He has medium length brown hair and green eyes, and is often found with stubble over his face. Seeming highly introverted to anyone outside of Renegade Squad, Jacob often spends his time alone or studying tactics and battle plans while he is in public, and is rarely found around people from outside his squad. However, whenever he is around other members of Renegade, he is much more open and outgoing, being the source of many morale boosts and squad events. Even so, he hides his true emotions often, and only a handful of highly trusted individuals know Jacob's full history, as he is always hesitant to share it. Jacob suffers from mild post-traumatic stress disorder, and occasionally shows symptoms of depression, although never around others. Jacob Lej Endis was born on the 16th of February, 2589 on the distant planet of Sigma Octanus IV. Growing up in the city of Côte d'Azur, which was rebuilt after it's obliteration in the Human-Covenant war, Jacob was rarely exposed to any military, as there was only a minimal presence on this particular planet. Rumors constantly went around about one of the neighboring planets, Sigma Octanus VII, taking as much of this planet's security as possible, because it housed a supposedly secret Empire outpost, even though it had been attacked previously by the Brotherhood before Jacob was born. The Empire-Brotherhood war was practically nonexistent this far away from all the other colonies, but everyone still knew about it. Jacob was rather intelligent as a child, being at the top of almost all of his classes in school. This, along with slightly abnormal facial features, caused Jacob to be the target of quite a lot of bullying, which helped to develop his extremely introverted personality. Jacob was an outsider in his own community, and as such stayed away from most others after these experiences, but this just added to his study time and, in turn, his intelligence. He also developed an interest in the military at this time, especially with tactical operations and the strategy involved in war. In 2605, when Jacob was 16, there was a substantial Brotherhood attack on the Sigma Octanus system, with the BLUE forces seizing control of Sigma Octanus IV with minimal resistance from the Empire, as all forces were diverted to defending the base on Sigma Octanus VII. The Brotherhood was eventually pushed back to the forward operating bases on Sigma Octanus IV, and a major battle in Côte d'Azur ensued. The city was, for the second time this century, being destroyed due to war. Evacuations of the entire population were well underway by this time, and Jacob and his family were no exception. Both his mother and father had been in the car with him when the Empire fleet arrived above the city. A barrage of Empire explosives followed shortly after, covering the city in devastation. Jacob and his family were speeding down the main street as a massive explosion erupted from just in front of the car, flipping it backwards and instantly killing Jacob's father in the driver seat. Jacob and his mother survived the impact, however, both suffering serious injuries to their entire bodies. Jacob had seen the states his father and mother were in, the latter of the two bleeding heavily from her mouth and forehead and hyperventilating heavily. Jacob passed out shortly after. The next documented event involving Jacob was inside a BLUE laboratory. Records state that the Brotherhood had somehow known of Jacob's intelligence, but his injuries from the explosion would have rendered him useless to the BLUE. Their solution was to use an experimental SPARTAN program to augment Jacob enough to keep him alive and to reduce the permanent impact of his injuries. The procedures he went through in the proceeding few weeks were excruciating and felt to Jacob as though they would never end. The incident with his parents and the SPARTAN augmentations left Jacob with mild post-traumatic stress that is triggered whenever the augmentations or family are mentioned around him. Although he would never admit it publicly, Jacob also suffers from depression due to the same incidents. Seeking closure from the death of his father and leaving his mother in a currently unknown state, all Jacob wanted to see was the end of the war, regardless of how he ended up working towards that goal. Coming from such far out a colony as Sigma Octanus IV, Jacob felt like an outsider in many squads. His accent and apparent ignorance towards a handful of seemingly normal activities to everyone else gave him a reputation in the army as "that foreign guy" who nobody really wanted. Jacob was, once again, the outsider, until he found Divinity. Divnity squad treated Jacob just the same as anyone else, and it paid off. Jacob was a steady soldier in the squad, and fiercely loyal to the officers in charge, even following through multiple defections backwards and forwards between the two armies on direct orders from the CO, and through an entire squad reformat into the current Renegade squad. Jacob eventually climbed the ranks of the squad, ending up as the non-commissioned officer, right into the position he likes to be. General Appearance: Litherius is of a lean, athletic build. He has brown eyes, short dark brown hair and is generally clean shaven, save but a well-maintained mustache and soul patch. In addition, he is of African-descent with a mixed-race skin complexion. Litherius is generally a patient and calculated individual. Preferring to find alternatives than engage in frontal assaults for example; utilising ambushes and surprise attacks as a preferred alternative. As a result, his leadership capabilities on the field are rather unpredictable, and typically unorthodox to the dismay of those under his command. Litherius Switch was once originally serving The Empire. Having started as a measly Private First Class in the Royal Enforcers Deployment Division; attached to REDWATCH company, Litherius rose through the ranks as his accolades and achievements on the war front began to add up; eventually reaching the rank of Colonel and administrating up to four different squads at a time. After a few more years of working in an office due to his rank, Litherius grew tired of the bureaucracy and went AWOL when those in The Empire least expected it. Eventually finding himself in the service of the Brotherhood Legion of United Exiles months later; who hunted him down after hearing of his departure from the Imperials. BLUE treated Litherius very well. He was quickly promoted to the High Command rank of Brigadier General after proving his loyalty in leading squads into battle against the REDDs, and he was put in charge of reforming BLUE training and was given the secondary role of 'Director of Drill' - leading the Drill Corps which was responsible for the workings of the army's boot camps, and training of new recruits. Enjoying his time with BLUE immensely, Litherius even once entered the race for Field Marshal, but due to illness had to pull out at a crucial moment. In what were the 'twilight years' of his service, Litherius eventually stepped down from the rank of Brigadier General and gave his all to his secondary role of 'Director of Drill', until eventually, he processed his resignation and was honourably discharged from the Brotherhood's service. After spending the next couple of years relaxing at home, getting married and enjoying hobbies he couldn't otherwise do due to the warranted demands of The Brotherhood, Litherius once again found himself back in the action. He became an independent commander leading a mercenary group called 'Spectre'; which was composed of both Marines and Spartans. Although independent, his group predominately carry out auxiliary missions for The Brotherhood, and any other clients who wished to strike at The Empire in one way or another. No stories as of yet. General Appearance: Rex is an African American male with a smaller build than the average Spartan IV's. He's 6'9" and weighs only 225 lbs. He have short length black hair and brown eyes. Often noticed by his neutral facial expression. IONI has restricted any crucial information about Rex Maximus. Any information divulged with face strict consequences. Last edited by Legendary Nova; 08-27-2016 at 12:23 AM. "Eternal vigilance is the price of liberty."